The latest royal feud news, suggests it's all Prince Harry's fault. 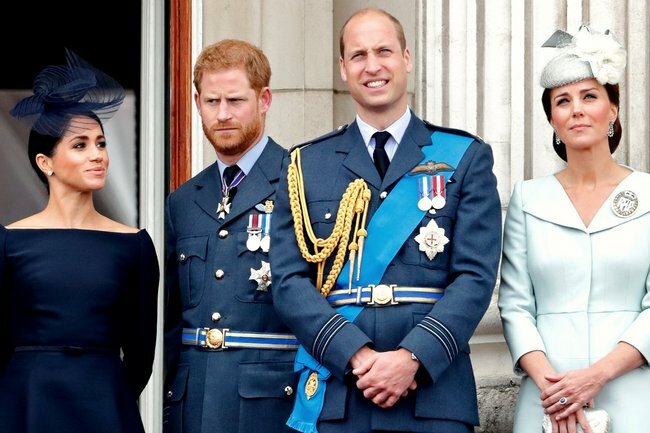 Move over Meghan Markle, it turns out Prince Harry is actually behind the royal feud. For weeks now, Meghan Markle has found herself at the centre of royal drama. Now take these assertions with a (big) pinch of salt, but the Duchess of Sussex is currently embroiled in a bitter feud against her sister-in-law, Kate Middleton; she’s also currently terrorising palace staff with her 5am wakeup calls and general go-getter attitude, and the 37-year-old has been accused of breaking up the royal family by moving herself and Harry to Frogmore Cottage, 33kms away from Kensington Palace. But friends, we’ve been misled because it’s not Meghan Markle’s fault, it was actually her husband Prince Harry all this time. And we think the world owes Meghan Markle a very big royal apology. Growing up royal with Prince William and Harry… something tells us these royal feud rumours are over exaggerated. Post continues below. The publication alleges the root of his over-protectiveness stems from the loss of his mother, Princess Diana, at an early age. “It’s my opinion that Harry feels he couldn’t protect his mother, so he’s going all out to protect his wife,” said an unnamed source. Apparently the royal’s prickly disposition has particularly caused friction between him and his brother, Prince William, which The Sun says is the main reason behind their move from Kensington Palace. As the rumour goes, when Harry initially introduced his beloved to the royal family, Prince William had doubts. He wanted Harry to slow their relationship down but Harry was in love. “William told his brother they knew nothing about her background, her intentions, what she was really like,” said another source. It’s all a bit dramatic, isn’t it? So now that the baton of tabloid blame has shifted from Meghan to Harry, and the only question we have is who’s next? Could it be Princess Charlotte, Meghan and Harry’s adopted black Labrador or perhaps the Queen herself? What are your thoughts on this ‘royal feud’? Tell us in a comment below.